Just a one-minute walk from the Finolhu beach, this stylish resort offers utmost vibrance and the perfect setting for island living. Offering a choice of overwater and beach-access accommodation, all the resort’s villas are extremely luxurious and offer top-notch amenities. The wide array of dining options promises to satisfy your gastronomical cravings while the Beach Club is the social hub of the resort, with a pool, beach cinema, gamers’ arcade and futuristic rooftop bar. 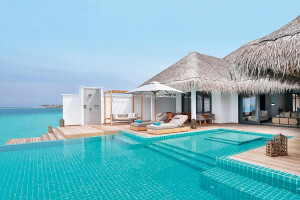 It also offers an extensive activity list that includes yoga sessions and kickboxing UFC sessions alongside a range of aquatic adventures from snorkelling to high-octane X Jet Blades. 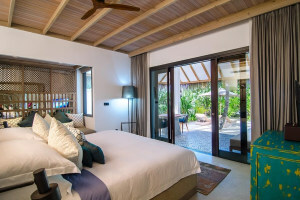 Taking the qualities of the perfect vacation to the next level, the Finolhu Baa Atoll is ideal for couples, friends or families looking for a getaway that’s both fun-filled and relaxing. Adorned with colourful interiors and delivering infinite views of the Indian Ocean, the Baa Baa Beach Diner offers an amazing gastronomic experience with its leisurely breakfasts, lunches, dinners and sinful desserts. With live cooking stations and themed nights from Saturday to Friday, the diner offers seafood nights, French, South American, South Asian, Middle Eastern, Italian and International concepts for the perfect evening. 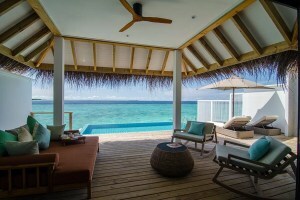 The 1 Oak Beach Club is the social hub of Finolhu that offers a one-of-a-kind experience for the perfect, fun evening. It offers plenty of leisure options such as the Cinema Retro that screens classic movies and live international sports. Gamers can head to the the bar’s old school arcade for classics such as Pinball or PacMan. There’s also a stunning bar and lounge upstairs for a magical under the stars. The beach club comes alive every night to with jaw-dropping performances such as acrobats, mermaid, stilt walkers and more, by its resident artists. They also host weekly retro pool parties, monthly Full Moon tribal sandbank events and exclusive multi-day extravaganzas featuring appearances from the world’s top performers and DJs. Offering the ultimate laid-back dining experience, The Fish & Crab Shack serves mouth-watering seafood on Finolhu’s 1km sandbank. Savour some fine wine alongside a bucket of fresh prawns or indulge in a sumptuous seafood and vegetable plate. You can also sample their range of delicious cocktails to perfectly compliment their signature dishes. The shack also hosts a ‘Seafood Extravaganza’ dinner every Wednesday with a vast selection of sumptuous seafood. Located on the tip of the island and offering spectacular vistas over the Indian Ocean, Kanusan is Finolhu’s award-winning premium dining venue. Seating up to 60 guests, the restaurant features an overwater bar area and two dining areas. Relish classic favourites such as Mandarin roasted duck and Larb Gai with a unique twist. Head to the open lower deck for an exemplary Maldivian experience that takes you as close as you can possibly get to the sea. The hotel has a retro tuck-shop that offers plenty to nibble on, from healthy munchies to deliciously sinful treats. Slurp up one of their refreshing smoothies or energize with a protein shake. Choose to stay fit with a fresh wrap, a smashed avocado or a super-food acai bowl, or give into your sweet tooth cravings with their array of ice creams and chocolates. They also serve fresh coffee, cool brews and wine by the glass. Indulge in ultimate relaxation at The Cove Club spa. its treatment huts offer soothing vibes with their pastel hues, each celebrating an iconic diva of the 60s and 70s. Treat yourself to their range of reviving treatments including skin and beauty treatments, massages, hair care and others. 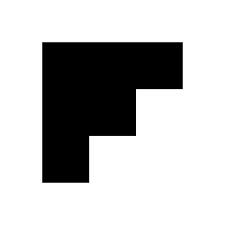 Taking fitness goals very seriously, Finolhu offers both indoor and outdoor gym areas with all the equipment you need. Put your strength to test with the ultimate beach gym workout using their TRX and high interval training equipment. They also have a resident fitness instructor to help you maximize your fitness regime. The Oceaneers' Club is a delightful place for your young ones to stay entertained. From tiny tots to teens, kids can enjoy a variety of activities that have been created for them by the hotel’s trained staff. They offer plenty of sports activities, board games, cooking classes, crafts and supervised water activities. Go ahead and take a few hours off knowing that your kids are in safe hands and are having a great time! 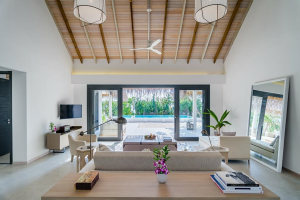 The property can either be reached via a 30-minute scenic seaplane transfer from Male International Airport, or via a 20-minute domestic flight transfer from Male International Airport to Dharavandhoo Airport followed by a 30 minute speedboat transfer to the resort. The return rates for the seaplane transfer per adult are USD 630 and per child (2-11 years) are USD 315. 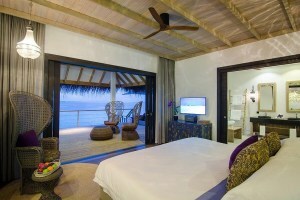 Guests can use an extra bed for an additional cost of USD 357 per person per night.